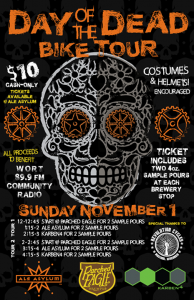 This Sunday afternoon, November 1st, join Madison area beer & bicycling enthusiasts on the Day of the Dead Bike Tour. 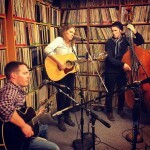 All proceeds from the ride to three northside breweries will benefit WORT 89.9 FM Community Radio. 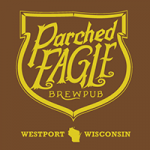 Tours start at 12:00 noon & 2:00 p.m. at the Parched Eagle Brewpub, 5440 Willow Road in Waunakee (608-204-9192). Tickets (just $10) are also available at Ale Asylum, 2002 Pankratz Street in Madison (608-663-3926). Riders will receive a pair of 4-oz. samples at each brewery stop: Parched Eagle, Ale Asylum & Karben 4. Costumes & helmets are encouraged. 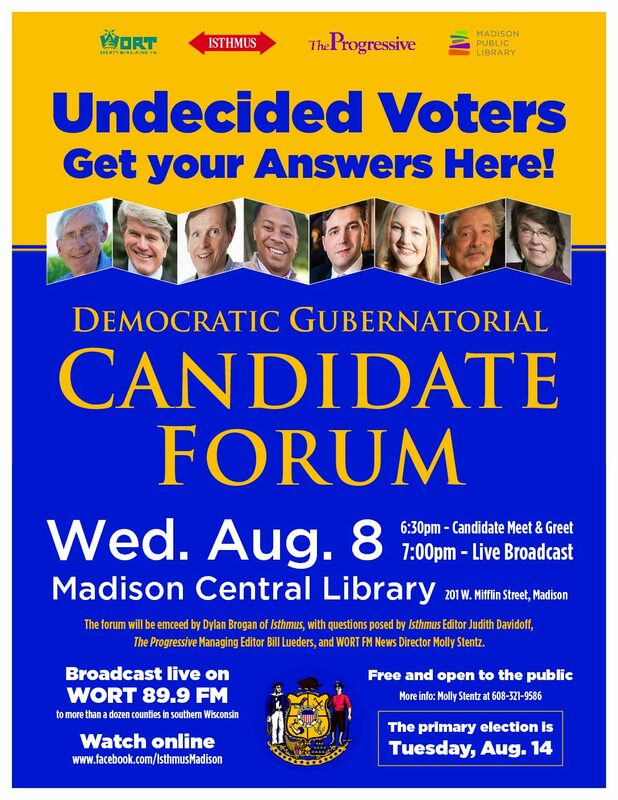 You must be age 21 or older to participate. 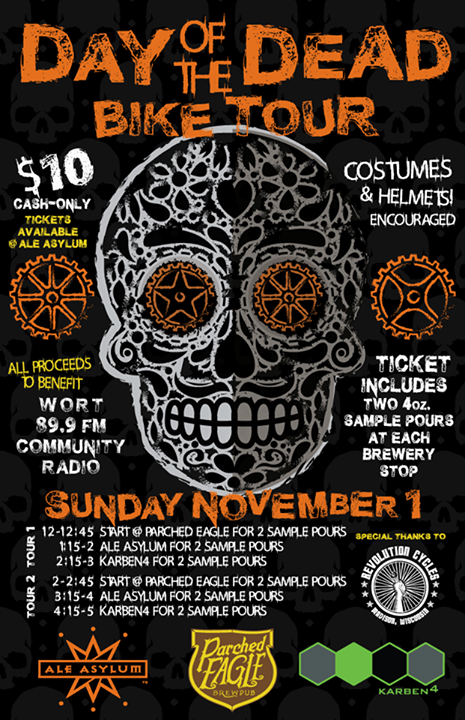 Get over your Halloween hangover & celebrate being alive on the Day of the Dead by biking from brewery to brewery while supporting WORT. The forecast calls for unseasonably warm, sunny weather on Sunday. 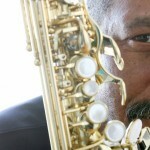 Your radio home for yeasty information & intoxicating music is always available worldwide at www.wortfm.org.